Responding to Auburn and surrounding area disasters since 2006. Such as the 49er fire where we provided $50,000 in services. Responding to those in need when disaster strikes. Gail Selby oversees the Auburn Corps' EDS team. When asked about her experience on the team, she recalls serving at the Lake County Fire. She was with the team serving hundreds of residents devastated and displaced by the fire. She was immediately humbled by how appreciative and encouraged recipients were by food and water; while not knowing what they would find remaining when they returned to their homes. The Auburn Corps has an extremely well trained EDS team and canteen that provides food/hydration, emergency housing, spiritual/emotional support, and emergency supplies to residents and first responders effected by disaster. 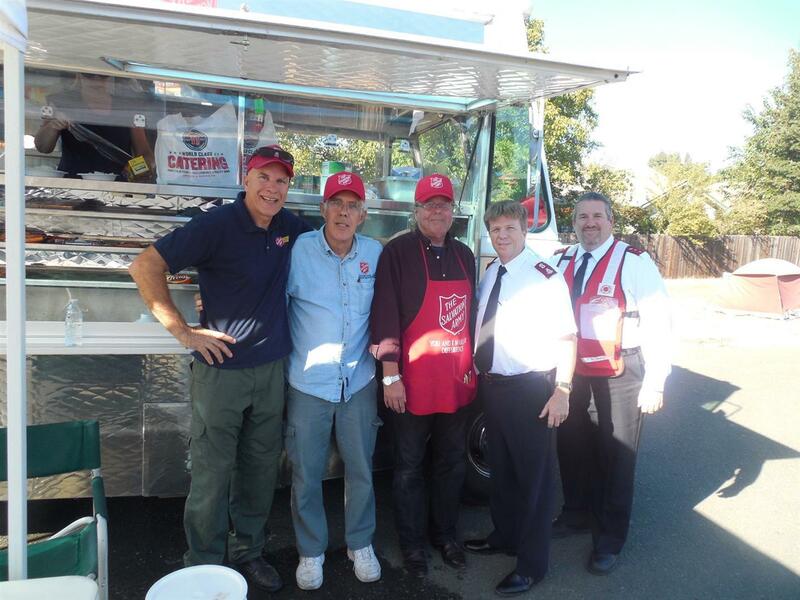 Recent responses included the 49er Fire where we provided $50,000 in services and the Applegate Fire where we supplied 200 meals and 6,000 with hydration. We also provide furniture, clothing, transportation needs, financial assistance, housing needs, and missing person locating services. The Auburn Corps EDS team stays well trained by preparing 500 meals a week at our Auburn Corps commercial kitchen and serving those meals at the Right Hand Auburn shelter.